Dots and stripes again? Oh my! I did not intend for this outfit to look so similar to my last one. I normally try to change up my looks but coincidentally this outfit and the last somehow ended up being really really alike. My bad! 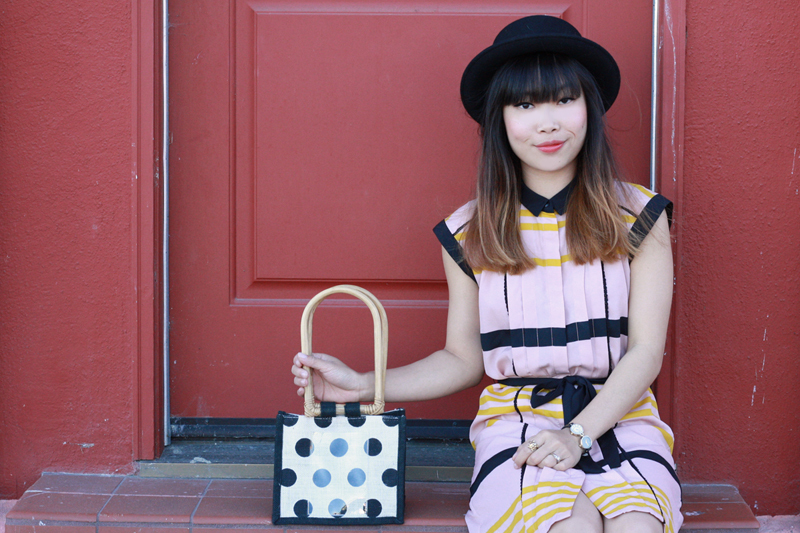 Once again, I hope you enjoy the fun pattern mix of dots and stripes. 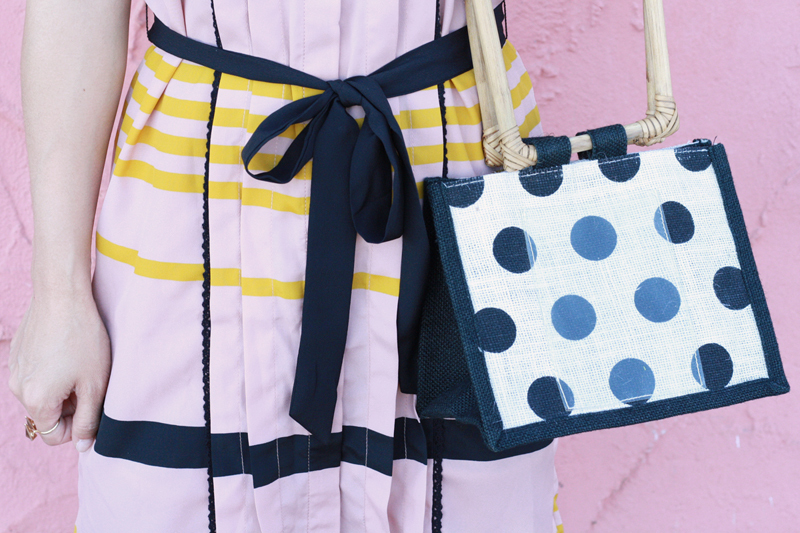 This time, I am wearing the pleated shift dress in blush stripes from the Jason Wu x Target Collection, the cutest vintage polka dot bag from Runaround Sue Vintage, and yet another pair of London Sole flats. 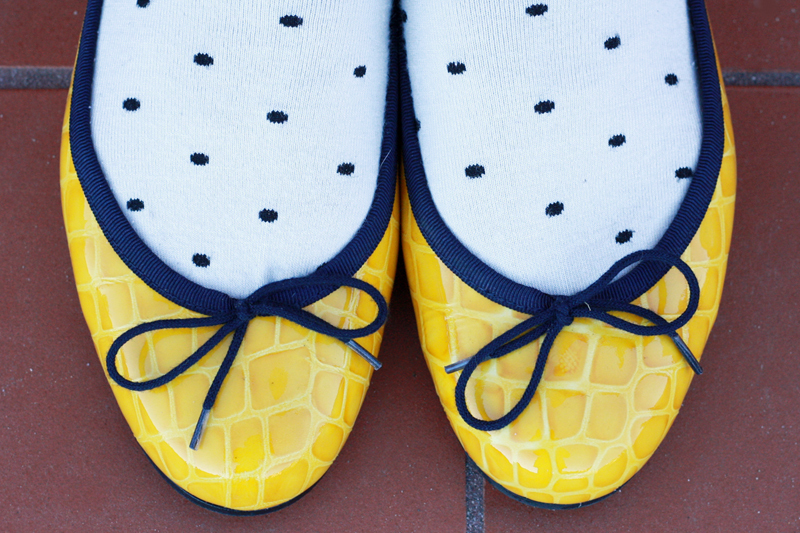 These Henrietta ballet flats in yellow patent croc are my favorite and I thought they look so darling with my two tone polka dot socks! Well, that is all for today. I hope everyone have a lovely weekend! Pleated shift dress in blush stripes by Jason Wu x Target. 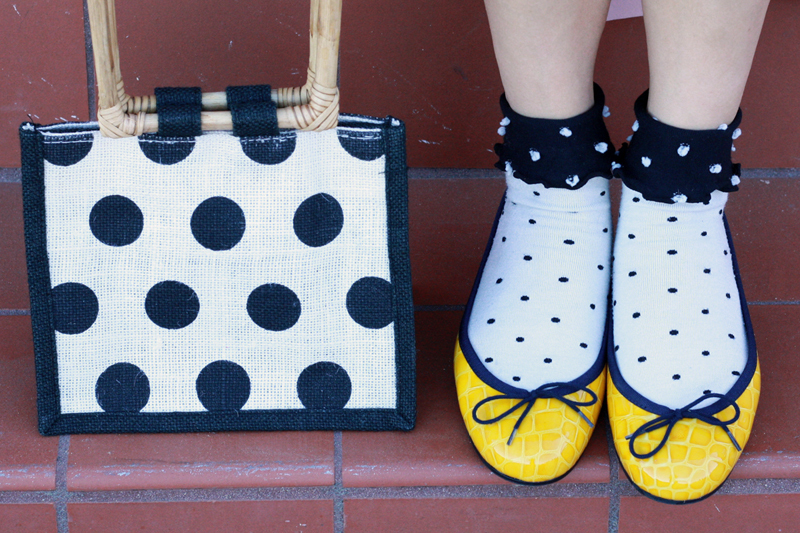 Vintage polka dot bag from Runaround Sue Vintage. Two tone polka dot socks stole from my mom. Henrietta ballet flats in yellow patent croc c/o London Sole. Wow, this is a gorgeous outfit! You look so cute! Beautiful! You are so great at subtly combining similar colors, patterns and textures. Never too matchy, always lovely. I love your outfits, it's always so cute! This is really cute! Love this fun look, so much details to look at!